I know, I'll create a new planet out of the winners. 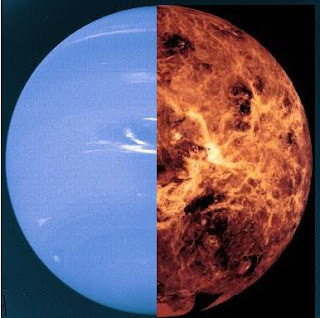 The unholy pairing of Venus and Neptune! Maybe under its reign former planets will like Pluto (which would have been 80 this year) will be returned to their status. it's like fire and ice. that planet would probably implode on itself. Pluto is like the red-headed step child that gets beat with a hickory switch. I don't know. I feel badly for the children involved. This kind of custody situation could be really confusing.